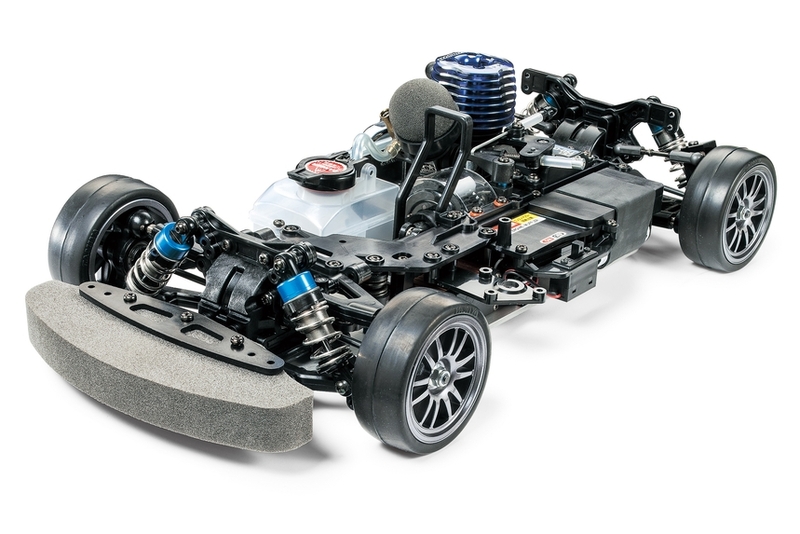 Tamiya is committed to the promotion of glow-engine R/C racing, as underlined by the further development of the TG10-Mk.2 chassis. The stylish included body is inspired by the 2014 Mini 4WD model Raikiri (Item 18640), and penned by the same Japanese designer Kota Nezu. It is mounted on Tamiya's proven TG10-Mk.2 FZ chassis with the Tamiya FS-12FZ engine. Special Feature 1 Chassis is powered by the FS-12FZ .12 engine (2.1cc). Special Feature 10 Instruction manual features guides on breaking-in, adjusting and maintaining the engine. 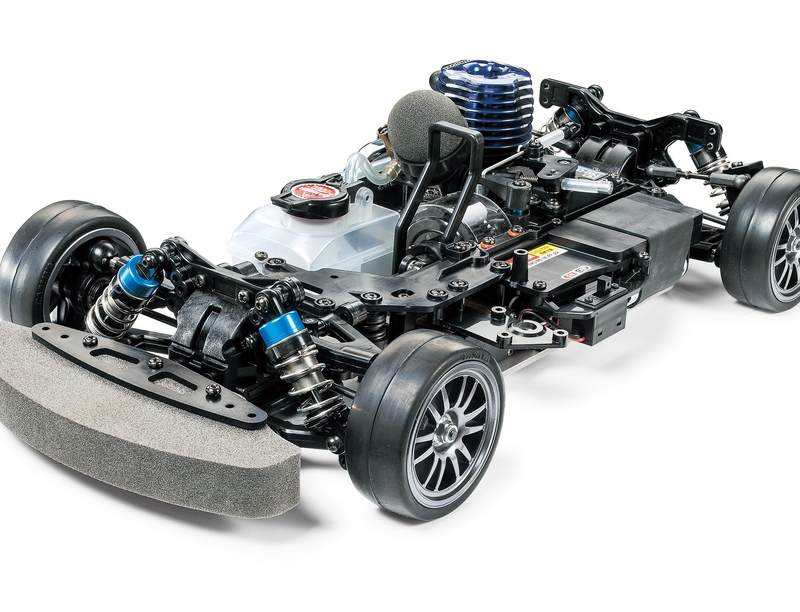 Special Feature 2 Stylish and aerodynamic body takes design cues from the Mini 4WD kit Raikiri. Special Feature 3 Double deck frame uses 3mm-thick duraluminum lower and resin upper decks. Special Feature 4 FS-12FZ engine features sliding carburetor and is fitted with a highly efficient aluminum heat sink head. Special Feature 5 Adjustable 2-speed transmission comes as standard and features a polycarbonate spur gear cover. Special Feature 6 Reliable shaft-driven 4WD features ball bearings in the drivetrain to minimize power loss. Special Feature 7 Geometry optimized for use with rubber tires. Ball connectors allow for swift setup changes. Special Feature 8 The slim-line TM-8 muffler minimizes the potential for contact between chassis and body. Special Feature 9 75cc fuel tank includes special filter and offers up to 8 minutes of running time.